April is such an array of diverse color in the garden. 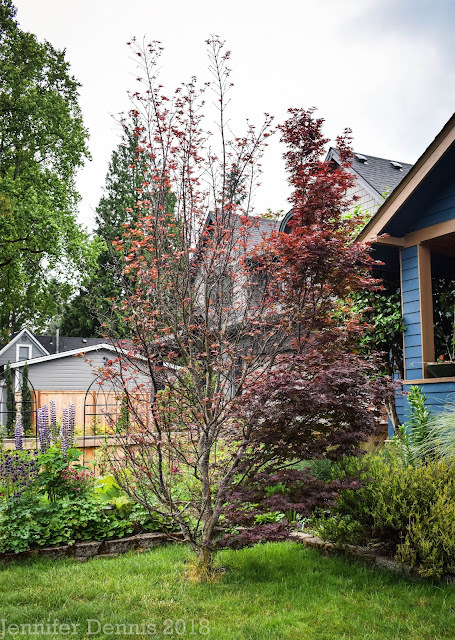 I see rich, burgundy, reds emerging from my Twombly Sentinel Japanese Maple juxtaposed against the bright, chartreuse greens of new hosta leaves. 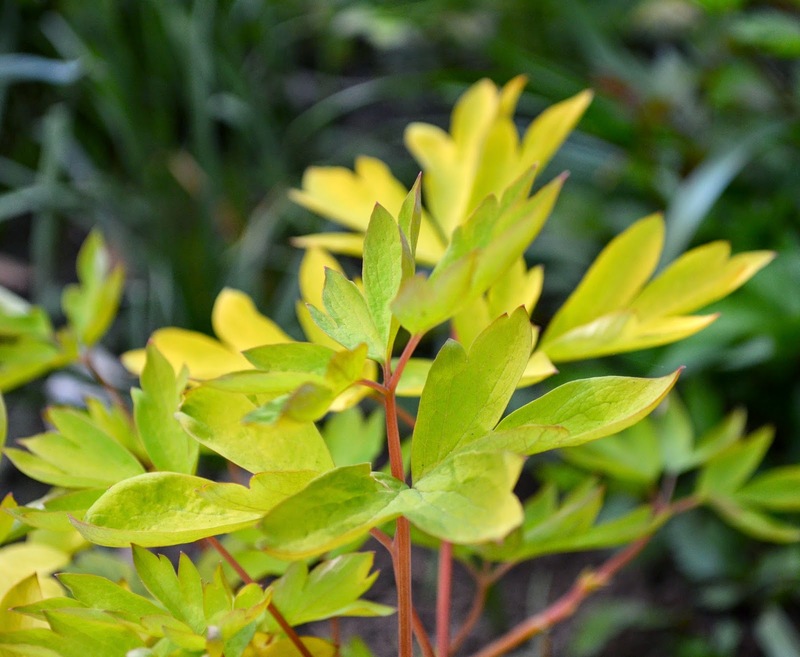 The golden foliage of dicentra 'Gold Heart' that I picked up this year at GardenPalooza, is so striking. 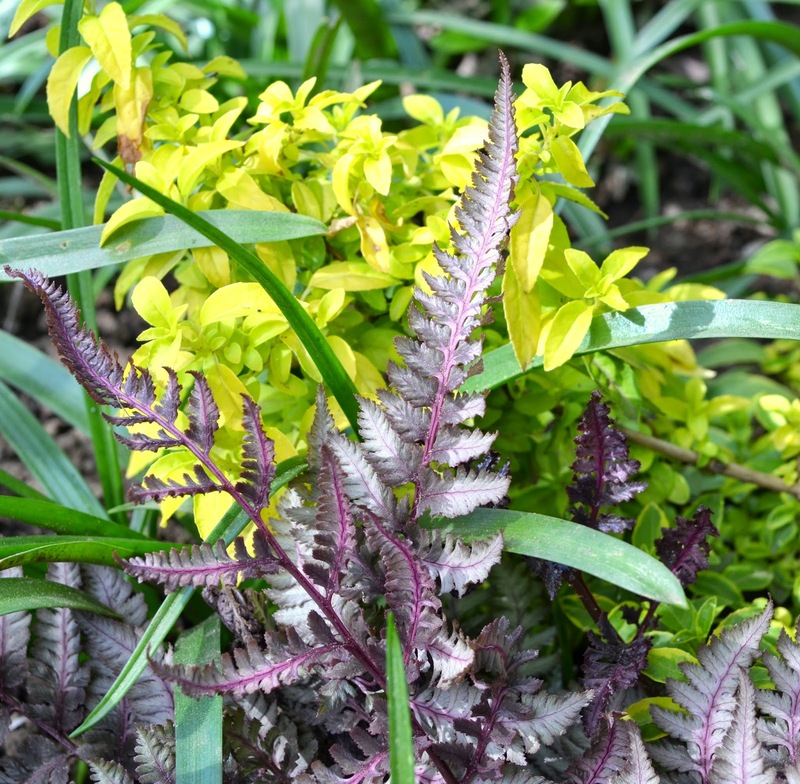 I can't wait for next spring where it add contrasting color and mingle with my other early spring perennials. The new fern fronds are putting on an impressive show, not only with color but with form too. 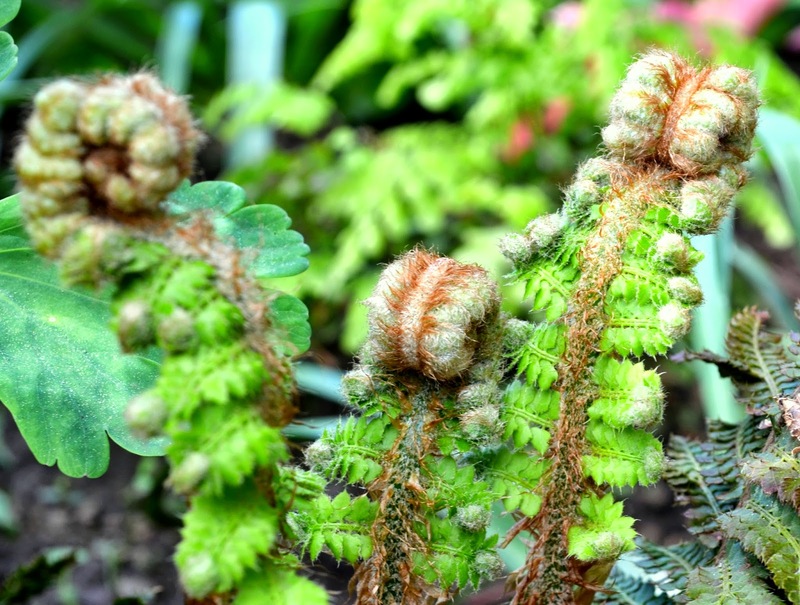 The Japanese painted fern looks so spindly and fragile as it emerges from the ground but once the fronds fully unfurl, it is a magnificent piece of sturdy color. More splashes of color from a baby Japanese Dappled Willow. I love the color on the new spring growth. Another gift bestowed from Alison. 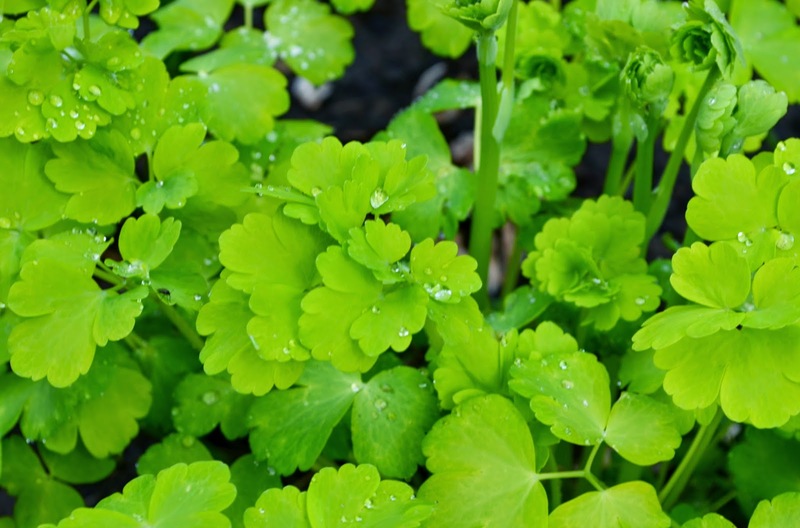 Chartreuse green in the emerging gardens are welcome and bring with them the assurances of revival. I think this columbine captures the color perfectly. I'm very excited to see the blooms on this particular Aquilega as while I've had the plant for a year, I've get to see it bloom. The flowering stalks are over two feet high this spring and I suspect it will put on quite a show soon. 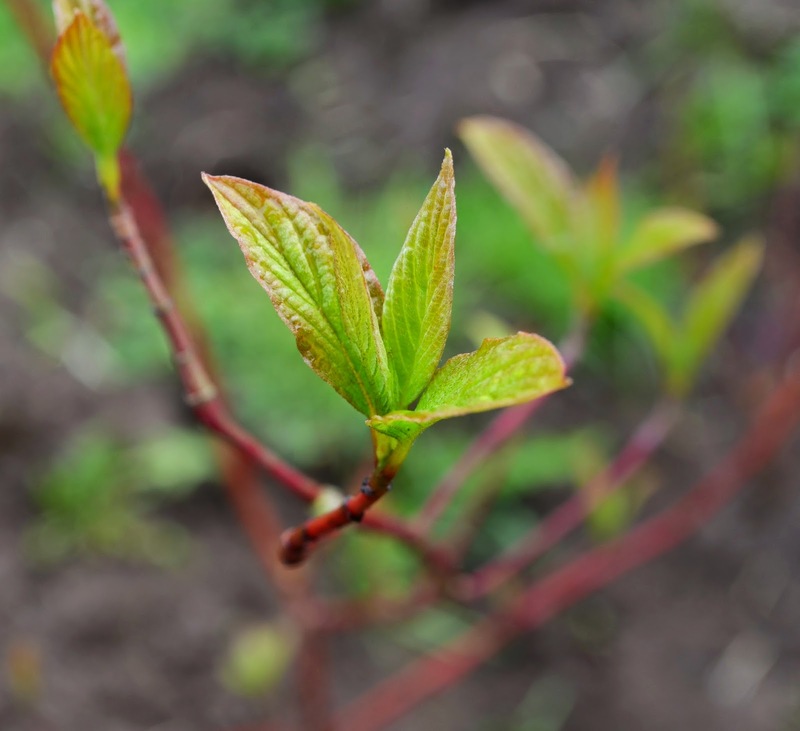 Finally a nod to the Pacific Northwest favorite, Red Twig Dogwood. I love the versatility of this shrub. It is perfect for damp areas yet hardy enough to withstand the summer dry spell. It is turning out to be a beautiful spring here in the Pacific Northwest. Had to look up that Aquilegia, but it's lovely. I love them for their young foliage too. I can't wait to see the blooms. It was an impulse purchase based on the tag description. I hope it's as pretty as advertised. 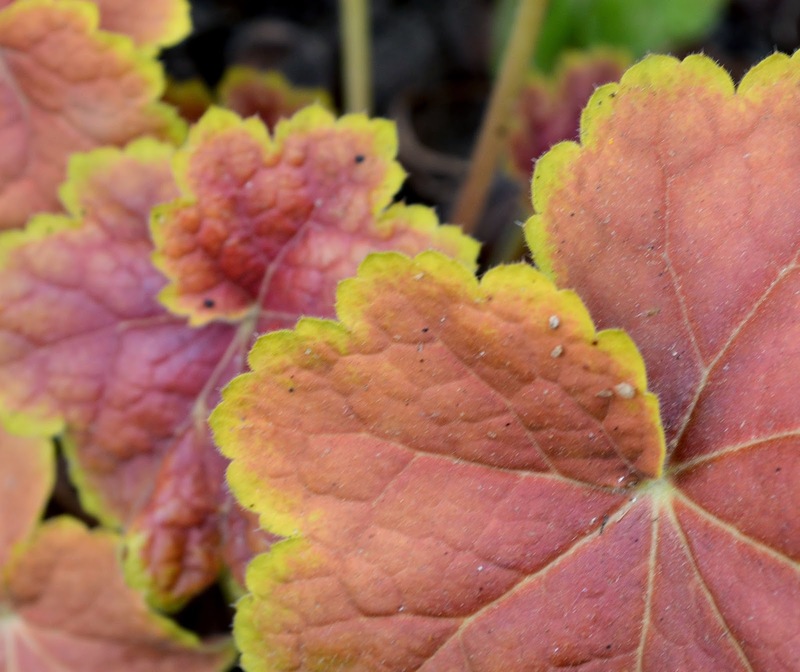 I love that Heuchera, it's one of my faves. I'm so glad to see the new foliage on the dappled willow too, I hope it's doing well. I love my 'Gold Heart' Dicentra, I know you will too. It isn't just flowers that add colour is it? You have a very impressive collection of plants already. The Dogwood is my favourite. I have several of them. One of the best is Cornus Alba "Aureum" - the one with yellow / gold leaves and then bright red stems in Winter. 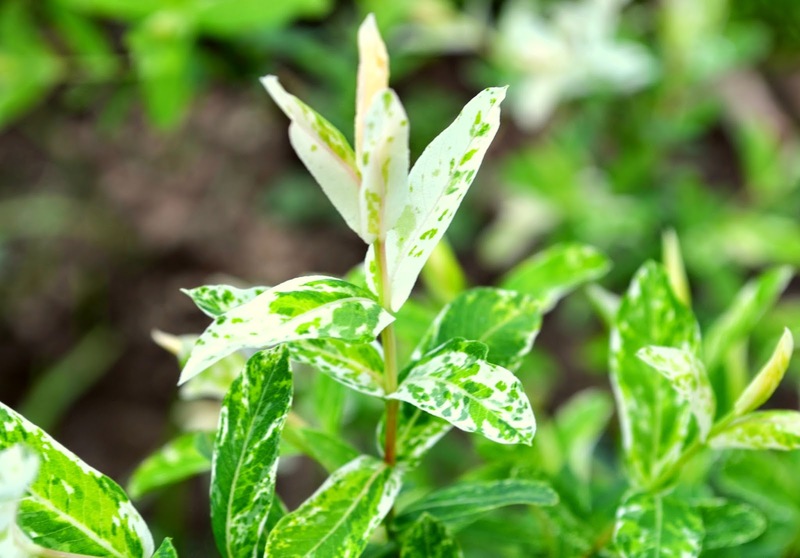 The color range of your foliage would be enough if nary a blossom showed up. Which, in your garden, I know will never happen. I absolutely fell in love with the Japaniese Painted Fern! So beautiful, and so unusuall! Gorgeous foliage! We are so lucky to live here and see our gorgeous springs each year! Exceptional foliages. So lovely this time of year. The freshness of it all! I love watching ferns unfurling. Lovely foliage! Lovely plants you got there. Wonderful spring, indeed. Such a nice time to spend time on the garden. Great pictures! Thank you for sharing them.